Terry Mahn (Principal) co-authored the Law360 article, “Uncertainty In Patent Term Extension For Biologics” published on May 17, 2017. Gina F. Nellesen was a 2016-2017 fellowship attorney in the firm’s Silicon Valley office. When Congress enacted the Biologics Price Competition and Innovation Act of 2009, it created an artificial act of infringement for the submission of a biosimilar application but was silent as to how patent term extension would apply to these large-molecule drugs. Language from the patent statute as interpreted by courts extends patent protection for a drug’s “active ingredient,” a term that is not commonly applied to biologics. Biologic manufacturers, therefore, should made be aware that the scope of patent rights for large-molecule drugs under an extended term is at best unclear, given that the statutory language developed under Hatch-Waxman must now be “overlaid” onto the BPCIA. Courts have interpreted the term “active ingredient” in the context of small-molecule drugs. How will courts assess the “active ingredient” of a biologic? Does this refer to the primary sequence, “higher-order” structure or some measure of activity? In the case of antibody drug conjugates, for example, is the active ingredient the monoclonal antibody or the small molecule conjugated to it, or both? This discrepancy is particularly important for biologic manufacturers considering which patents to select for patent term extension, and for understanding the scope of enforceability during any extended term against biosimilar entrants. Patent term extension, which partially compensates manufacturers for patent term lost to the premarket regulatory approval process, has enabled numerous products to maintain exclusivity beyond their original expiration dates, resulting in some cases in billions of dollars of additional revenues. The BPCIA gives biologics a greater period of data exclusivity than drugs approved under Hatch-Waxman — 12 years for new molecular entities (large molecules) versus five years for new chemical entities (small molecules). But patent exclusivity confers additional rights that may exceed the term of data exclusivity. 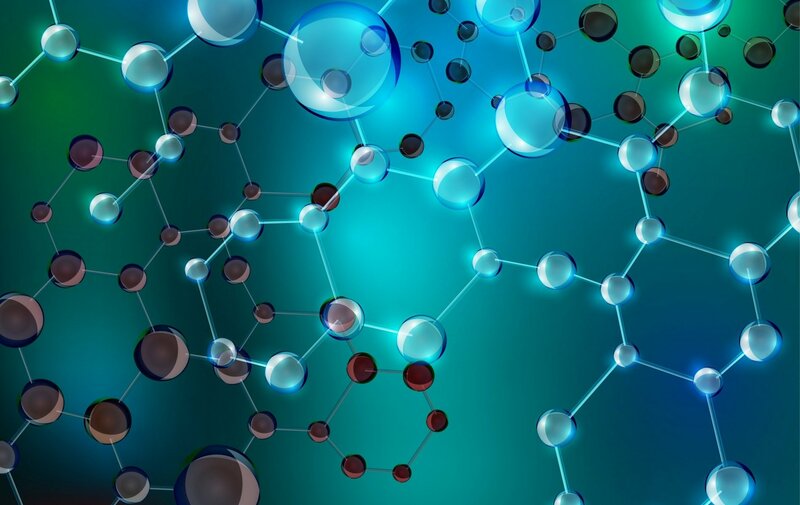 Although many large-molecule patents may not extend beyond the 12-year period of data exclusivity, in cases where they do, patent term can be extended by a maximum of five years, with the total period after approval not exceeding 14 years. For composition patents, the rights extended can be quite valuable. In addition, to be eligible for patent term extension, large- and small-molecule drugs must be the first permitted commercial marketing for which there was a regulatory review period. Thus, patents covering active ingredients that are not salts or esters of previously approved new drugs, and that have undergone full clinical trials in a regulatory review period for the first permitted commercial marketing, would be eligible for patent term extension. Importantly, during the extended term, a composition patent encompasses all approved uses of the U.S. Food and Drug Administration-approved active ingredient. If the composition claims comprise a genus, only those species claiming the approved active ingredient will receive the benefit of patent term extension, not the broader genus. Congress intended that patent term extension not apply to minor structural variations of an approved active ingredient; thus, 35 U.S.C. § 156(f) defines a drug product as including “any salt or ester of the active ingredient.” Congress also left the FDA to determine what is or is not the first permitted commercial marketing of an active ingredient. The FDA, therefore, must make a “sameness” determination when evaluating whether drugs with similar chemical structures fall under the first permitted commercial marketing rule. For small-molecule drugs, a “sameness” determination is relatively straightforward. The FDA discerns and compares the structural variations in the molecules that are “intended to furnish pharmacological activity or other direct effect.” But biologics are larger and more complex than small molecules. This leads us to ask, how will the FDA distinguish the active ingredient of a large-molecule drug? And how will courts determine the scope of an extended biologic patent enforced against a biosimilar with structural variations? Heterogeneity is expected because biologics are “manufactured” in living systems (e.g., bacterial cells) by processes that introduce variability. Thus, it is entirely possible that a biosimilar could have an altered primary amino acid sequence compared to its reference biologic and yet still exert similar activity. For example, conservative amino acid changes (Gly → Ala) may have little effect on charge, hydrophobicity and size. This not only could limit the scope of protection for an extended-term patent claiming the referenced biologic, but also could lead to the extension of a patent claiming the biosimilar under the “first permitted commercial marketing” rule. There is no single, definitive study that is likely to demonstrate biosimilarity. The FDA considers the totality of the evidence, comparing primary structure, glycosylation, heterogeneity in size and charge, higher-order structure, plus biological activity through clinical studies. To support a demonstration of “no clinically meaningful differences” the development program for Zarxio (filgrastim), the first FDA-approved biosimilar, looked at absolute neutrophil and CD34+ cell counts after drug exposure. This established an exposure-response relationship. The FDA will also consider “fingerprint-like” identification of very similar patterns between biosimilars and reference biologics. The FDA accepts that while “minor modifications such as N- or C-terminal truncations  are not expected to change the product performance [and] may be justified,” it is “expected that the expression construct for a proposed product will encode the same primary amino acid sequence as its reference product.” Indeed, of the four FDA-approved biosimilars — Zarxio (infliximab), Remicade (infliximab), Enbrel (etanercept), and Amjevita (adalimumab) — all have primary amino acid sequences that are identical to their reference biologics. But this begs the question: Is the primary amino acid sequence the “active ingredient” of a biologic for purposes of patent term extension? FDA guidance suggests that in addition to comparing primary amino acid sequences, there are other standards for determining whether two biologic products are the same or different from one another. The FDA has considered the criteria by which two monoclonal antibody products would be considered the “same” under the Orphan Drug Act. Orphan exclusivity extends the period during which the FDA will limit approval of a subsequent sponsor’s marketing application for the same drug for the same indication, unless the sponsor demonstrates that the subsequent product is clinically superior. In effect, protection for a biologic runs the longer of 12 years of data exclusivity, or seven years of broader market exclusivity. The 12 years of data exclusivity protects against biosimilar entry, while the seven years of orphan exclusivity protects against pioneer and biosimilar entry. The FDA has acknowledged that a “sameness” determination for macromolecules will require different criteria than for small molecules., For example, whether the amino acid sequences of the complementarity determining regions in two different antibodies are the same, or if there are only minor differences between them, will be evaluated on a case-by-case basis. One example offers an indication of how the FDA may approach the issue. Avastin (bevacizumab) and Lucentis (ranibizumab) are both large-molecule antibody therapeutics that target human vascular endothelial growth factor (VEGF)-A. Lucentis is a truncated antigen-binding fragment (Fab) of Avastin, which is an intact immunoglobulin. Patents covering each product received separate grants of patent term extension (307 days to U.S. Patent No. 6,054,297 for Avastin, and 378 days to U.S. Patent No. 6,407,213 for Lucentis). This suggests that the FDA perceived the “active ingredient” of each biologic to be different for purposes of determining the “first permitted commercial marketing” and patent term extension. Another example where the FDA must make a “sameness” determination to evaluate whether two large molecule drugs with similar molecular structures fall under the first permitted commercial marketing rule is the large molecule therapeutic Kadcyla. Kadcyla is an antibody-drug conjugate comprising the anti-HER2 IgG, Herceptin (trastuzumab), linked to the small molecule chemotherapeutic, emtansine. Herceptin alone as a biologic was FDA-approved in 1998. Thus, by itself, it has already undergone a review process for which it was “the first permitted commercial marketing.” Nonetheless, the FDA is actively considering the patent term extension application filed for Kadcyla, which would indicate that it considers the “active ingredient” to be the new combined entity, called ado-trastuzumab emtansine (comprising the large molecule and small molecule together), as this would be the “first permitted commercial marketing” of the combination. It remains to be seen how the FDA and the courts will interpret the statutory language of 35 U.S.C. § 156 in the context of biologics. Determining whether a biosimilar comprises the same “active ingredient” as a biologic for the purposes of patent term extension will be particularly important for older biologics that cannot benefit from the BPCIA’s 12-year data exclusivity provision, placing emphasis on this final period of exclusivity. In this regard, it is unclear whether a structural change to a biologic that confers new data exclusivity under the BPCIA will also render the molecule eligible for new patent term extension as a new active ingredient. The FDA must explain how it plans to interpret “active ingredient” in the context of the first permitted commercial marketing of biologics (to confer patent term extension eligibility), and court decisions will need to be monitored to determine how the term “active ingredient” is construed in the context of the scope of extended-term patents covering biologics.